Code Club and Samsung’s latest regional hub opens in Cardiff! 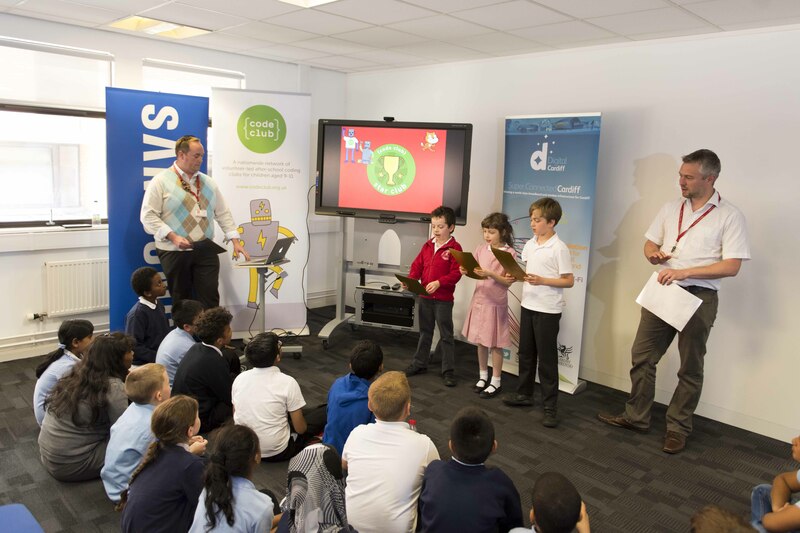 Last Thursday, the Code Club team joined with our partners at Samsung to officially open Cardiff’s Code Club Samsung regional hub with the help of some incredibly enthusiastic children from two local primary schools. The event took place at the hub’s headquarters at the City of Cardiff Council Digital Showcase and was the fourth in a series of recent launches in London, Manchester and Newcastle. For those who don’t know, a hub is an accessible public place equipped with Samsung laptops which Code Clubs can come and use in weekly sessions. The hub also hosts training sessions throughout the year to train Code Club volunteers so that they can then run new Code Clubs for more children in Wales. As the National coordinator for Wales, I found the launch on Thursday incredible – it was fantastic to see the corporate, education and public sector worlds come together for the greater good of Welsh children. I originally got involved for this exact reason. I truly believe we can do great things, but we need all the moving pieces to be in unison. Thursday was a great example of that for me. We heard from students from Y Bont Faen Primary school (one of our Star Clubs – pictured) on the projects they’d worked on since their Code Club began and thirty students from Tredegarville primary school also took part in a live session whilst guests arrived. These regional hubs allow Code Club to help kick-start a digitally literate generation in all areas of the UK. It’s great to be able to hear from enthusiastic Code Clubbers and know that that the creation of our regional hub in Cardiff will mean that more children than ever get a chance to experience coding for themselves. Meet our new Participation Manager! Hi there, good to meet you folks! 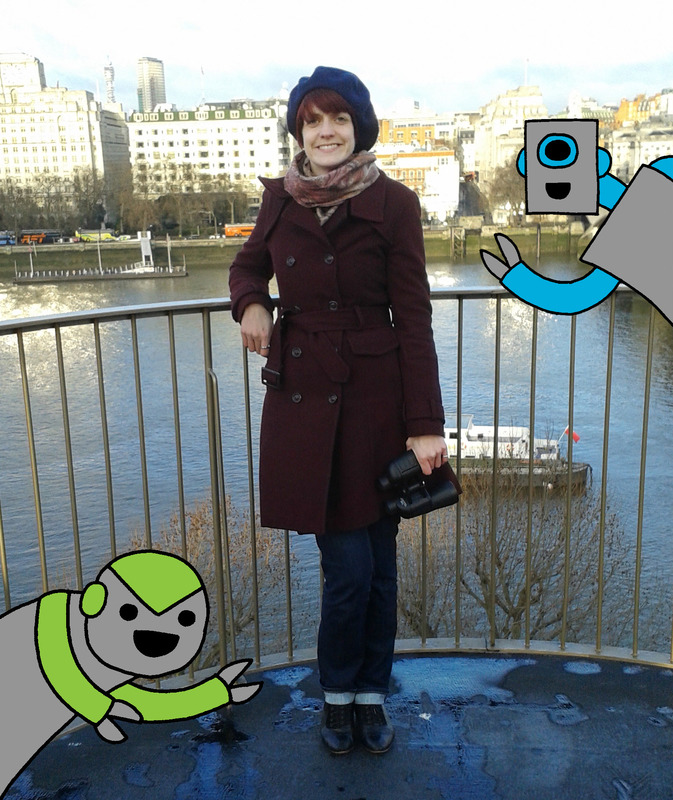 My name is Sarah and I am the new Participation Manager at Code Club. Some of you might have already met me as I’ve been developing training materials and helping to deliver training sessions for volunteers across the UK. The first thing I want to do is find out how our volunteers use the resources we already offer and what we could add or improve upon to make your experience as part of Code Club even better! I’ve set up Google Hangouts at different times over the next few weeks so we can chat. Also, if you’re coming to the Code Club Birthday Party in London on 30th April do come and say hi – I’ll be the one in charge of the cake. Code Club partners up with Code Kingdoms! We’re super excited to tell you all about Code Kingdoms, a fantastic new online platform which enables children to design their own game worlds using code. Code Kingdoms’ resources have been adapted especially for use in Code Clubs. We have produced some puzzle packs and provided dashboard and teacher guides to make it as simple as possible for clubs to start using this new tool as soon as they like! The platform is free to use at schools and at home through the website, but there is also an opportunity to purchase extra content when outside the classroom through the Code Kingdoms app. If the parents of our Code Club members decide to access this content, Code Kingdoms have very generously agreed to donate a percentage of the cost of purchase back to Code Club. As a non-profit that relies on donations from the public and companies who support our work, we hope that this partnership will also help Code Club cover our operating costs, so we can continue working to bring free after school coding clubs to schools across the UK! We’ve loved using the Code Kingdoms’ resources and we hope you have as much fun with them as we have! We’d love to hear your thoughts and feedback too, so do let us know how you get on!